Christmas, and all of December was a feast for me. 🙁 I put on a stone (14 lbs, 6 Kgs) during December and reached what I think was probably my heaviest weight ever. 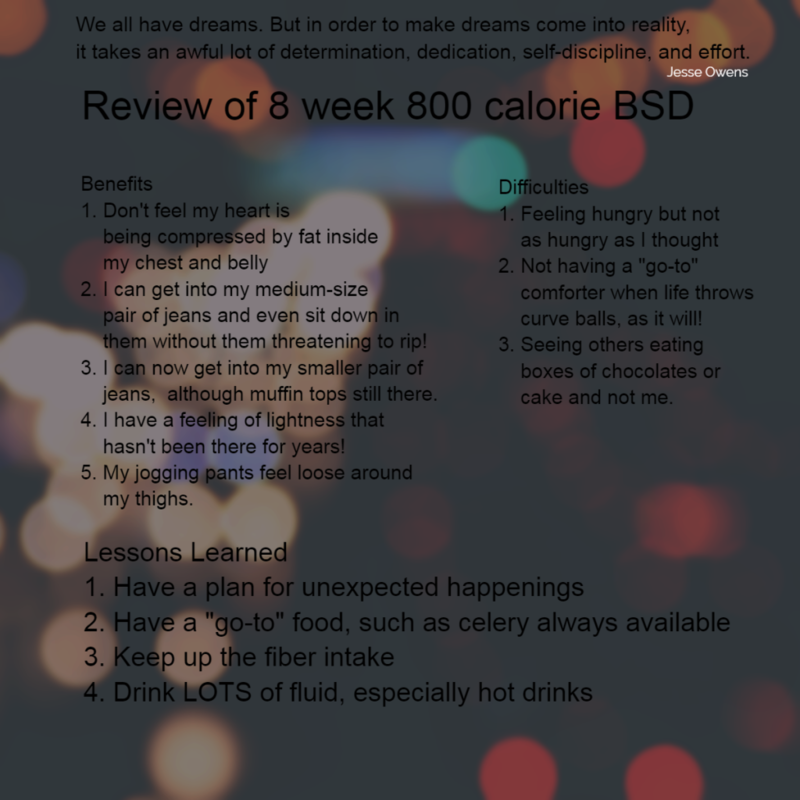 Over the past few months I had been hearing about the fasting diet. Several places, magazines, health articles and on line were touting the benefits of the Fast Diet, where you fast (reduced calories) for two days in the week, often Monday and Thursday and then eat normally the rest of the week. It’s a calorie reduction programme with a difference. You eat normally for 5 days of the week and on two days (normally Monday and Thursday, you take only 500 calories (women) or 600 calories (men). I read the book “The Fast Diet”, decided to follow it and to start now, with a fast. Good way to start the New Year after the Christmas gluttony! Nothing at breakfast time. 1 cup of protein shake at lunchtime. 2 slices bacon, 1 fried egg and spinach for dinner. drank hot lemon water and tea. I then measured my weight in the evening and I was 81.5kg – the heaviest I have ever been. Waist 36.5, inches and abdomen 43.5 inches – NOT good. Comments. After such a small amount to eat, I expected to be ravenously hungry, but no, I wasn’t. I didn’t expect to have any problem in the morning because if I am going for exercise, I don’t eat or drink anything anyway and also if going to town, I don’t eat or drink anything either. Once it came to lunchtime, I was not starving but made my husband lunch and made myself a small protein shake, which I drank slowly. Then nothing til teatime. Was hungry AFTER tea but drank hot lemon water and my body realised it was mouth hunger or expectations, not real hunger. Good start. The book said that I would not feel really hungry and that even if I did, many people found that it was manageable because they knew they would be able to eat normally tomorrow. Fast day today. Drank tea during the morning, nothing to eat. Had small container of protein shake at lunchtime. Had cold chicken, carrots and parsnips and green beans for tea. Measurements: waist 37 Abdomen 43. Hungry but not ravenously so and able to forget about it if I did something. Knowing that tomorrow would be an “eat normally” day helped too. 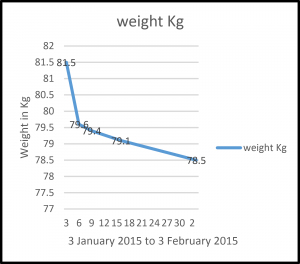 Weighed self 79.6Kgs – a drop – good! Almost 2 Kgs lost, that’s over 4 pounds in weight. Probably mainly water, it always seems to be water loss at the start. Fast Day, drank tea and hot lemon, had 1 scoop protein shake in water for lunch. Dinner, some steak pieces casserole, with green beans and brussels sprouts. Measurements: waist 36.5″, Abdomen 42.5″. Hmm, don’t know if this is working for me. Have lost an inch from abdomen, not much. Feels good though, this diet does seem to reset appetite, as they said it would. Will stay on it for a bit longer. I don’t find that very fast but it’s still a loss and maybe it’s better that way. It is at least a loss and it’s 2.4 Kgs in 2 weeks. 1Kg a week is healthy. Waist 37 Abdomen 42 – no difference! waist 36″, abdomen 43″ No real difference from 1 month ago. This is not working for me, though I have stuck to the 5:2 formula. This is a doable diet. The book is very readable, and some good information and support in it. 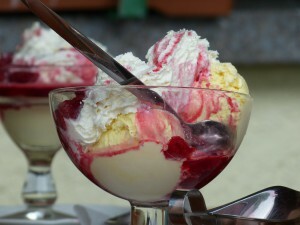 It is possible that staying on this diet would take my weight down gradually to a reasonable level. I know people who are on this diet and for whom it works well. 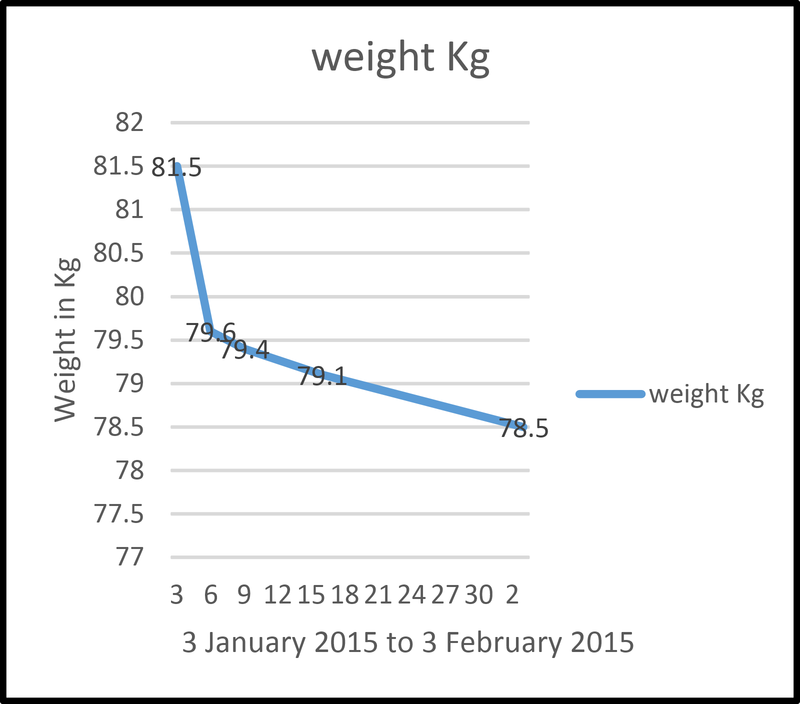 I have included a graph of the weight loss, so you can see I did lose weight but I think I will try the Atkins diet next.